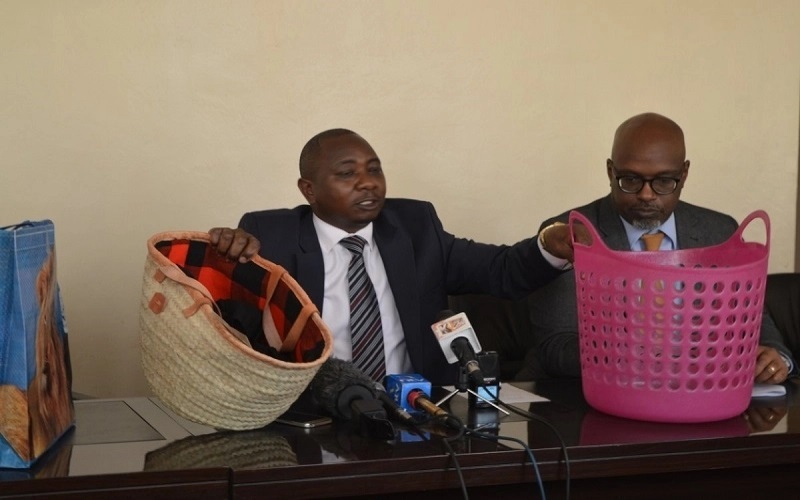 Wednesday, April 3, 2019-The National Environment Management Authority(NEMA) has displayed the bags that Kenyans should use from now henceforth and warned anyone caught with non-woven bags risks arrest. 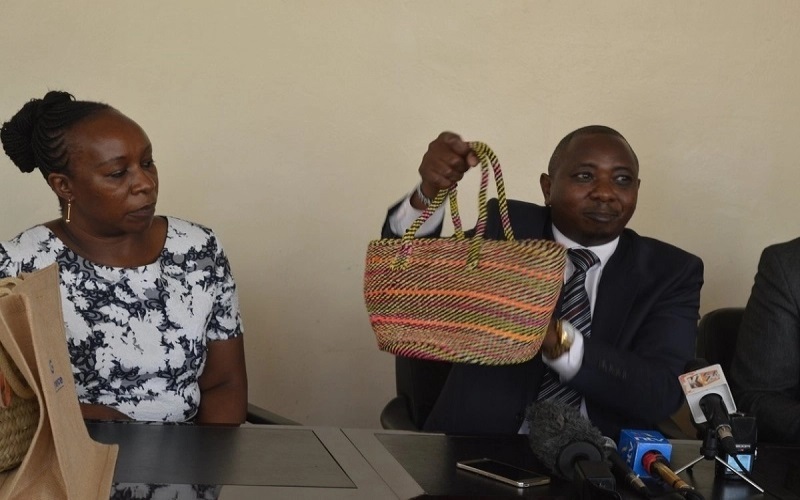 According to NEMA boss ,Geoffrey Wahungu, every Kenyan should use a woven bag when going for shopping. 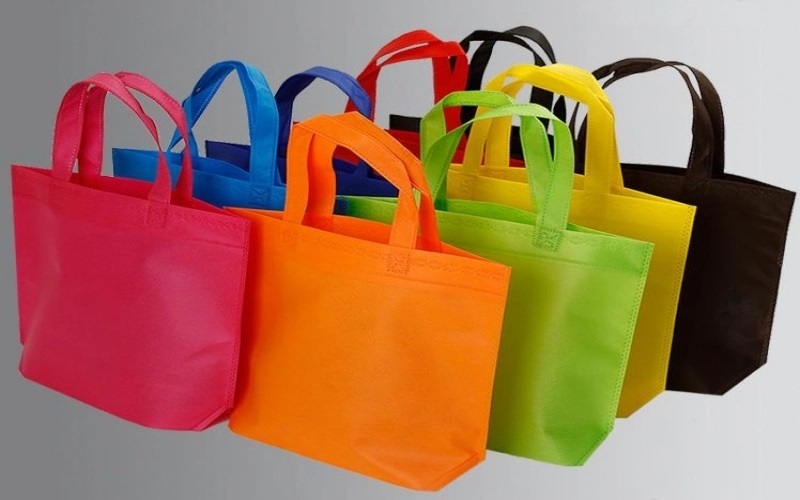 Wahungu said that a crackdown on non-woven bags will start soon and those found with plastic bags or non-woven bags will be arrested. “The penalties are equal to those of banned plastic bags. We are not going to tell them our strategies; that today we will raid Mombasa, Nairobi or Nakuru. “We are just implementing a ban that came into effect in 2017; this is not a new order. Those selling and manufacturing the materials should cease or the law shall take its course.” Wahungu added. The new woven bags introduced by NEMA have caused a stir amongst Kenyans. Most men have an issue with carrying the kiondo whenenever they go shopping. They claim it’s unAfrican for a man to carry a kiondo like a woman. Here are photos of the new woven bags introduced by NEMA. Here are the bags that have been banned by NEMA.